OK, I’m going to out myself as an old man right now. 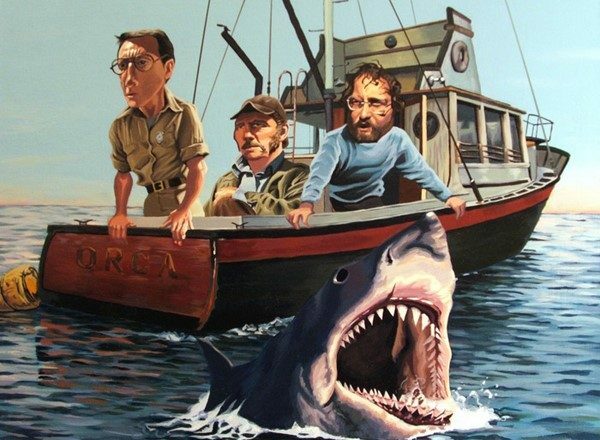 As Steven Spielberg is to my kids and most of the movie going generation after, Francis Ford Coppola was to my generation. He was the inspiration for my movie mania in the 1970s. He is responsible in whole or part for five Best Picture nominees including three winners in that category. Getting a chance to hear him speak was number one on my list of “must dos” for the Festival. We were not at the front of the line but we were there almost two hours early to insure that we did get in. 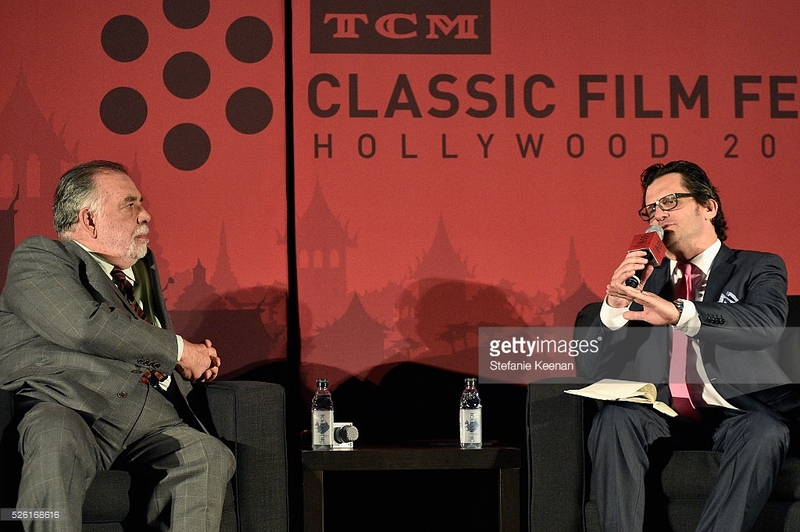 Mr. Coppola did not disappoint. There was an elaborate description of the opening scene that reoccurs as the movie plays out. The idea that more is revealed or that the comments being made are interpreted in a different way as we get some more context is an early version of a technique used by later films like “Memento”and “Crash “. That Walter Murch had to be given a title that did not exist before [Sound Designer] because he technically could not work as an editor is a testament to the clash between the old ways that studios worked and the new styles that film makers like Coppola wanted to employ. The innovative use of sound in this film was the start of a specialized field. I wonder how Ben Burtt feels about this and if he would agree. Gene Hackman is my favorite actor, and this was a terrific part that required him to be very different than in other roles. He is introspective and something of a schlep in his plastic raincoat and black rimmed glasses. He still has the volatility of Popeye Doyle, but it is tempered by a meekness that is surprising. When he tosses away his valise in frustration, that’s a moment you expect, but when he turns around to go back and get it, that is not the performance choice that is typical, but it is reflective of the character. His passive-aggressive manner with his girlfriend is another indicator of Harry Caul’s tentative ability to connect with others. We know that he is in over his head when he gets bested by a professional rival in a joke, but even more so when he falls into a honeypot that is designed to get access to materials he has held back from the assistant to his contracted employer. Robert Duvall is barely in the movie, in fact I think he is uncredited, but it is nice to see the two of them occupying the same film. The timeliness of this kind of surveillance is odd. 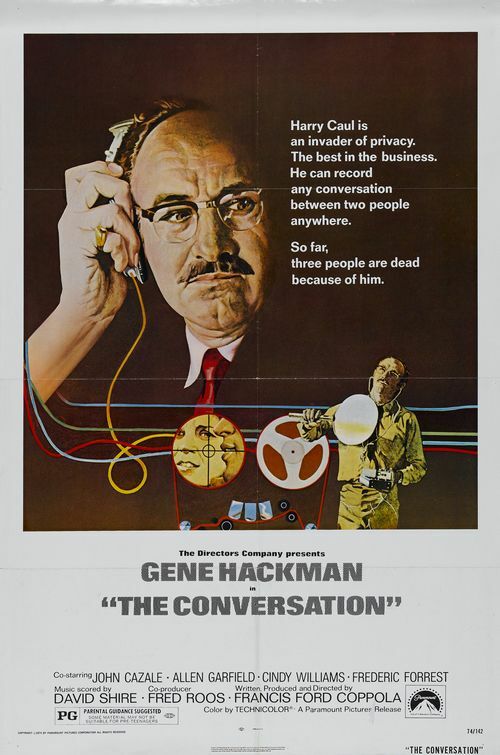 The movie is more than forty years old but it is still relevant with the privacy invasions that we see today in politics, social media and National Security issues. Harry’s paranoia is just a precursor to the kinds of intrusions that all of us are subject to today.